When you need to take a break from a long 4 hour game, you can save the game and load it up another day starting up exactly where you left off. To save a game, click on Games -> Save & Load. 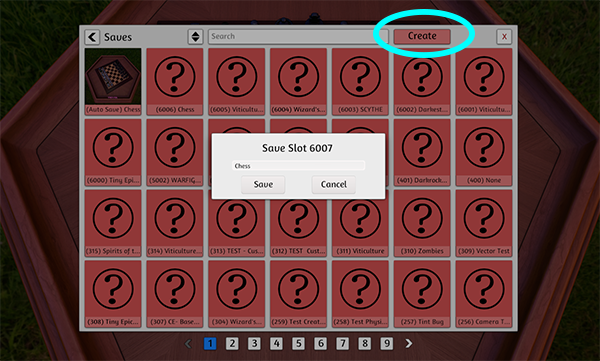 If you are creating a brand new save, then click on the “Create” button at the top right. 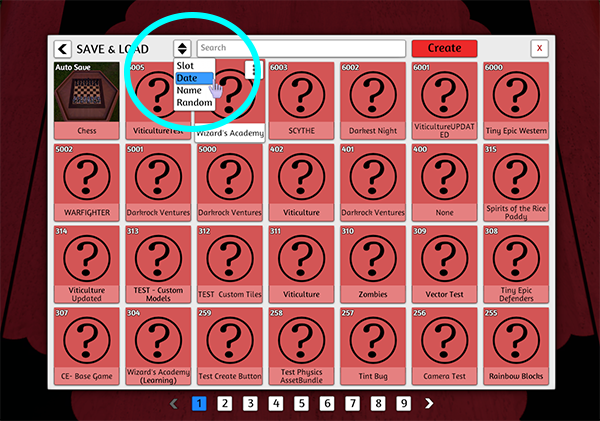 It tells you the slot number and you can input any name you’d like for your game. A screenshot will be taken of your game based on where your camera is facing and that will become the thumbnail of your new save. To load a game, click on Games -> Save & Load. All you need to do is click the thumbnail of the game you wish to load. You will get a confirmation popup in case you clicked accidentally. Go back to the Games -> Save & Load menu. Hover over any save and click the options icon (3 Dots). You can then choose to save over this particular game (overwrite), expand the save (search to see what objects are in there and click to spawn it. This is good if you only need parts of one save and you’d like to load it into another game you have open without having to spawn the entire load and have it replace your current game.). And finally you can delete the save. 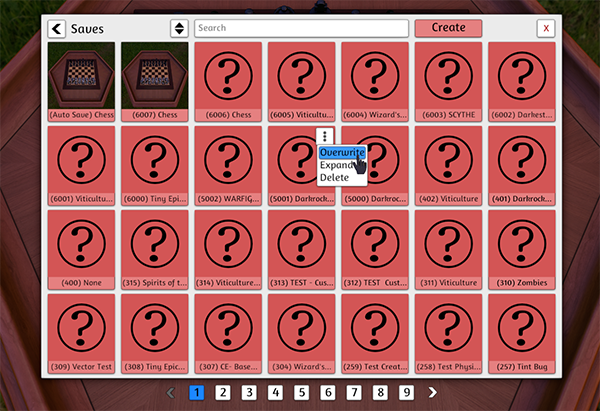 You can also search for a particular game, or you can sort by name, slot number of the save, the date the save was updated/modfied or you can even have it sort randomly. 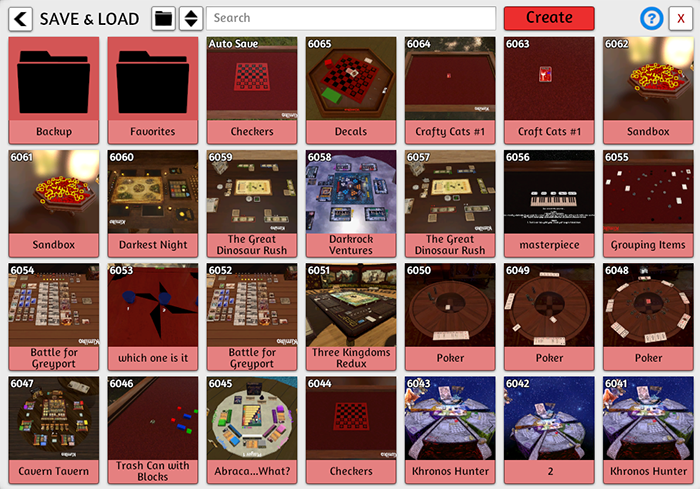 Tabletop Simulator also auto saves your games automatically every 300 seconds (5 minutes).